Visit some Twin Ports area bars, get a chance to win a cooler full of beer from Bud Light as well as some other fun Bud Light merch. Starting Monday, July 9 through Sunday, August 5, visit the participating bars, complete activities on the B105 app, and win! 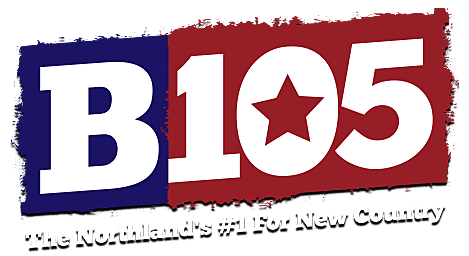 You can get the free B105 app at //b105country.com/app/. See details below. Win Beer For You And Your Buds From Bud Light (the “Promotion”) is open only to legal residents of the fifty (50) United States (including District of Columbia) who are twenty-one (21) years or older at the time of entry. Void in Guam, the U.S. Virgin Islands, and other U.S. territories and possessions and where prohibited by law. Employees of Townsquare Media Inc., or any of its respective affiliates, subsidiaries, advertising agencies, or any other company or individual involved with the design, production execution or distribution of the Promotion and their immediate family (spouse, parents and step-parents, siblings and step-siblings, and children and step-children) and household members (people who share the same residence at least three (3) months out of the year) of each such employee are not eligible. The Promotion is subject to all applicable federal, state and local laws and regulations. Participation constitutes entrant’s full and unconditional agreement to these Official Rules and Sponsor’s decisions, which are final and binding in all matters related to the Promotion. Winning a prize is contingent upon fulfilling all requirements set forth herein. The Promotion begins on Monday, July 9 at 9:00 am Central Time (“CT”) and ends on Sunday, August 5 at 11:59 pm CT (the “Promotion Entry Period”). Availability of certain aspects of this promotion may be restricted by business hours of participating bars, and participants are responsible for accommodating and respecting business hours for this promotion. Sponsor’s computer is the official time keeping device for this Promotion. Option 1: Complete the Win Beer For You And Your Buds From Bud Light Hunt App Challenges. The total points available to earn is 9,000. Participants who have completed at least 1,000 points will be entered into the Prize Draw. According to his website profile, what part of Minnesota did Ken Hayes grow up in? According to her website profile, where did Lauren Wells go to college? According to his website profile, what was David Drew “raised on”? According to his website profile, where is Sam Alex of Taste of Country Nights originally from? Email your answers along with your name and phone number to nickstoltman@townsquaremedia.com. All correct entries received during the Promotion Period will be entered into the Prize Draw. A 48-quart Rubbermaid cooler filled with a variety of beer products distributed by Superior Beverages, including Bud Light, Bud Light Lime, Bud Light Orange, and Bud Light Straw-ber-rita. For Promotion results send a hand-printed, self-addressed, stamped envelope to Win Beer For You And Your Buds From Bud Light - Winners List Request, Townsquare Media, Inc., 240 Greenwich Ave., Greenwich, CT 06830. Requests for the winner list must be received within thirty (30) days from the end date of the applicable giveaway.